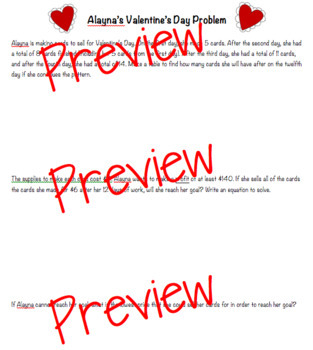 In this multi-step, Valentine's Day themed problem, students will use two- and one-digit addition, subtraction, multiplication, and division as well as problem solving and critical thinking skills. Whole numbers only. Answer key included. 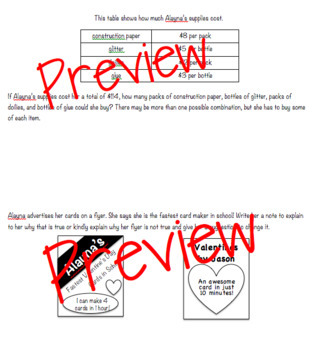 Works great as an extension activity for above-level third or on-level fourth graders. I gave the problem to students to work on in groups, which encouraged math discourse.